Anodot’s analytics understand and interpret what normal looks like and alerts when those lines are crossed in real-time. They analyze e-commerce, utility, adtech and payment processing activity. AI analytics company increases customers’ bottom line by capturing millions in otherwise lost revenue and opportunities. Israel-based Anodot’s artificial intelligence software aims to give large companies a kind of early-warning system that scours their data sources to glean critical insights. Rebecca Herson, VP of Marketing at Anodot, discusses the costly nature of glitches on e-commerce sites, and ways in which sites can minimize the resulting damage. During the holiday season, it pays to be aware that revenue leaks from micro-glitches can add up fast. In a data-rich, e-commerce ecosystem, the key to effectively avoiding the glitch is automation and technology. Make your holiday retail season merry for both your customers and your bottom line by looking for solutions and workflows that enable you to identify and respond to micro-glitches in near real time. Techbytes spoke to Ira Cohen, Chief Data Scientist at Anodot, to figure out what the future of analytics looks like. Today is expected to be the busiest online shopping day in history, with more than $6 billion changing electronic hands. So how are businesses poised to take advantage of all that spending? One big factor for retailers that could make the difference between profit and loss is data analytics. Announcing the launch of “AI Analytics for Retail” just in time for the upcoming holiday shopping season. Anodot, the AI-powered analytics company, announced today the launch of “AI Analytics for Retail” just in time for the upcoming holiday shopping season. 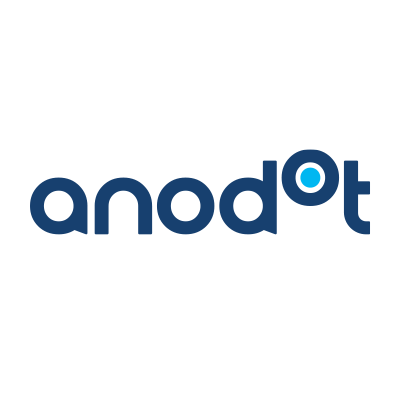 With Black Friday and Cyber Monday accounting for 6-10x revenue compared to a regular shopping day, Anodot’s system for retail will help companies increase profits this holiday season.